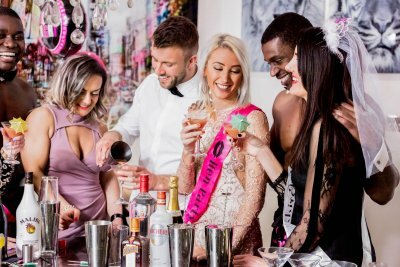 The classics are very often the best, and mixing up drinks on a hen party is about as old school as it comes. 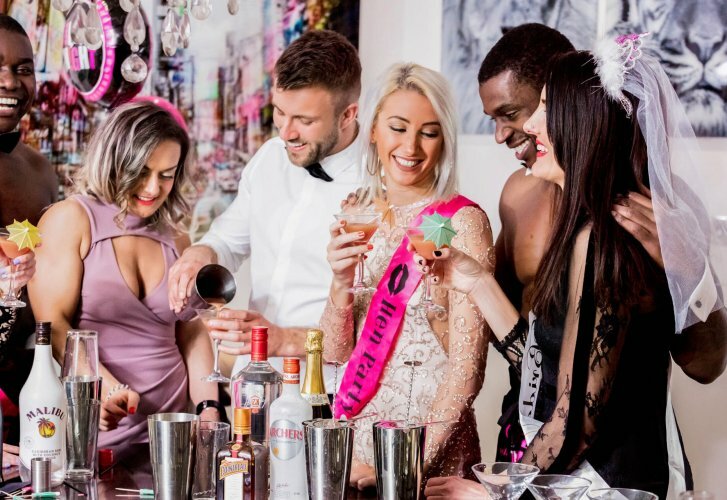 Hen parties are often made up of people who all know the bride but may not know each other especially well – a cocktail masterclass is a brilliant way to break the ice and get everyone chatting. With our experienced mixologists your guests are in for a treat. Learn to mix a cocktail like a pro with a range of top tips, guidance and recipes for getting the most out of your favourite drinks. Fancy Making it a Gin cocktail? No problem – Talk to us about our NEW Gin Masterclass! All the same fun but with your favourite tipple! For a small additional cost why not book one of our hunky Butlers to accompany the mixologist? He can help by serving the cocktails, hosting games and be an extra bit of eye candy for your guests. Guaranteed to be fun, exciting, tasty and even educational – our mobile cocktail masterclasses have a reputation for being one of the UK’s favourites. Or even in a hotel room (Subject to the hotelier’s permission). We save you the journey and bring the party to you!